Here's some coverage, including a really distinctive cover, of V: THE SERIES from STARBURST MAGAZINE issue 85 (September 1985). The weekly series (1984-85) had already been cancelled stateside by the time it reached the UK, on ITV, in June 1985. 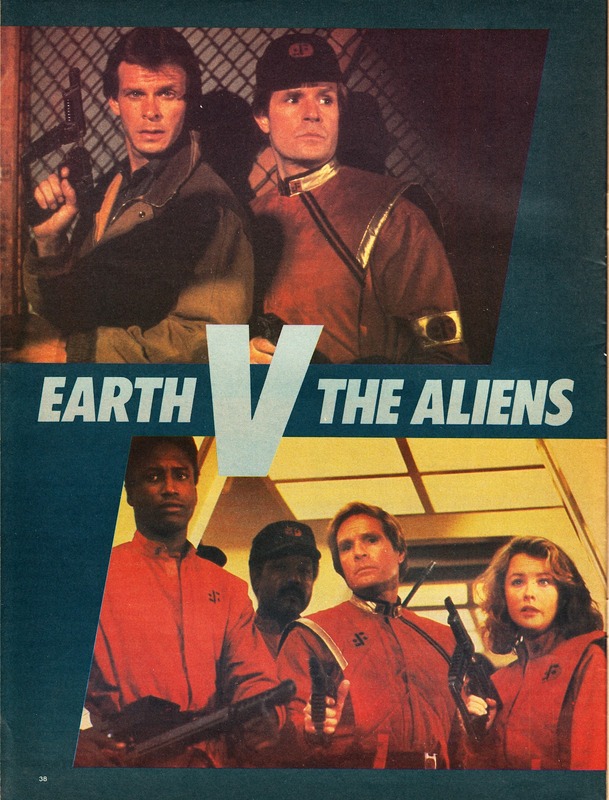 This issue was amongst the last published by Marvel UK. 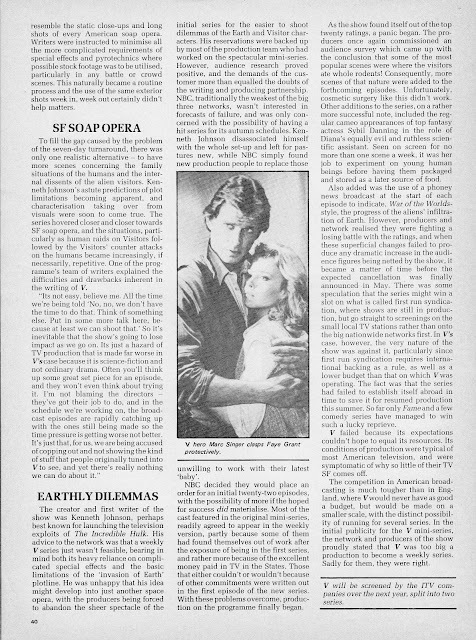 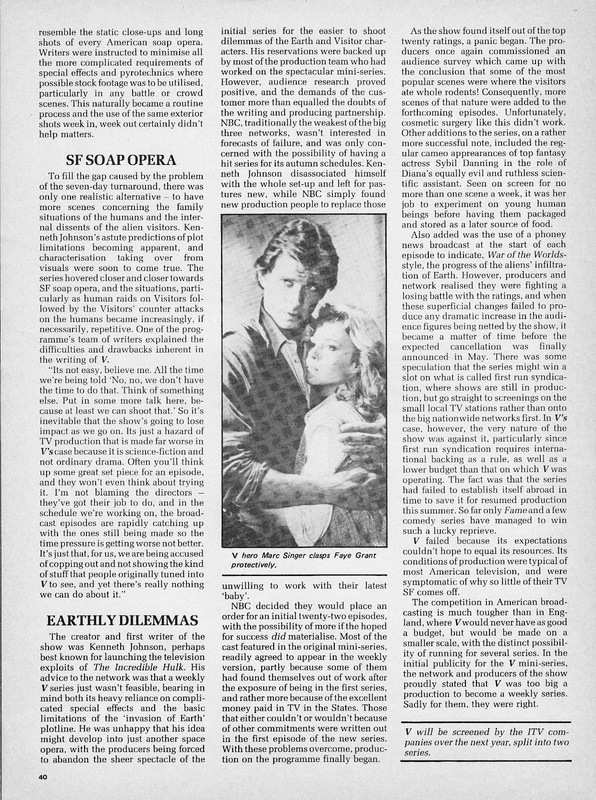 The publisher had acquired the magazine, along with the services of its publisher Dez Skinn, in 1978 and had persevered with it after Skinn's departure in 1980 but attempts to build a magazine division with CINEMA MAGAZINE (9 issues + 1 special, 1981-82) amounted to nothing and Starburst remained odd-man-out alongside Marvel's comics business. 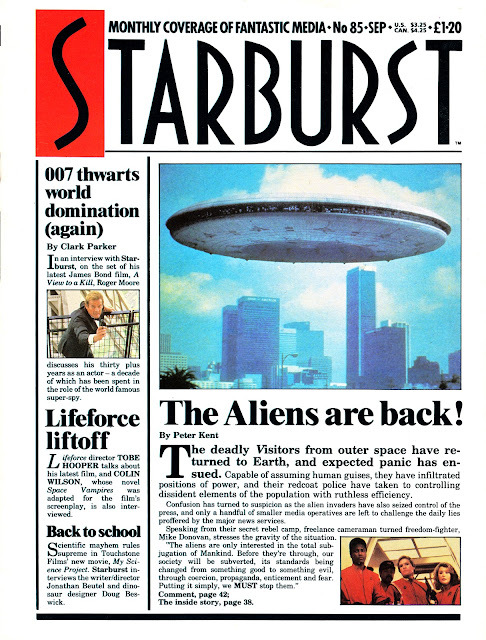 Starburst was sold to independent publisher Visual Imagination shortly after this issue was published. 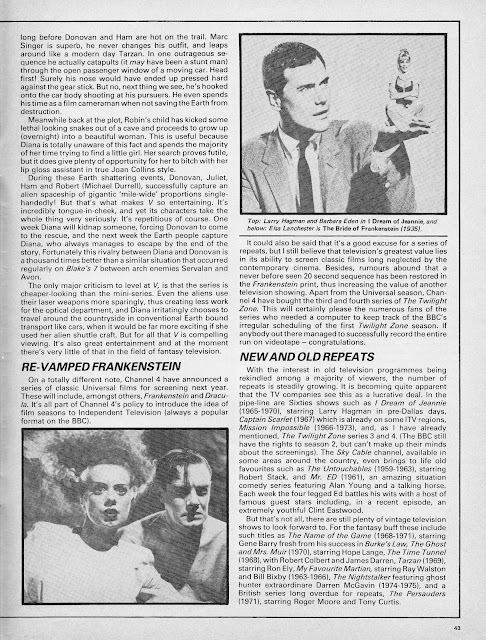 The last to appear under the Marvel banner was issue 87 (November 1985). Starburst closed (after 365 issues and innumerable spin-offs) in 2008 but returned to newsagents shelves in 2012. 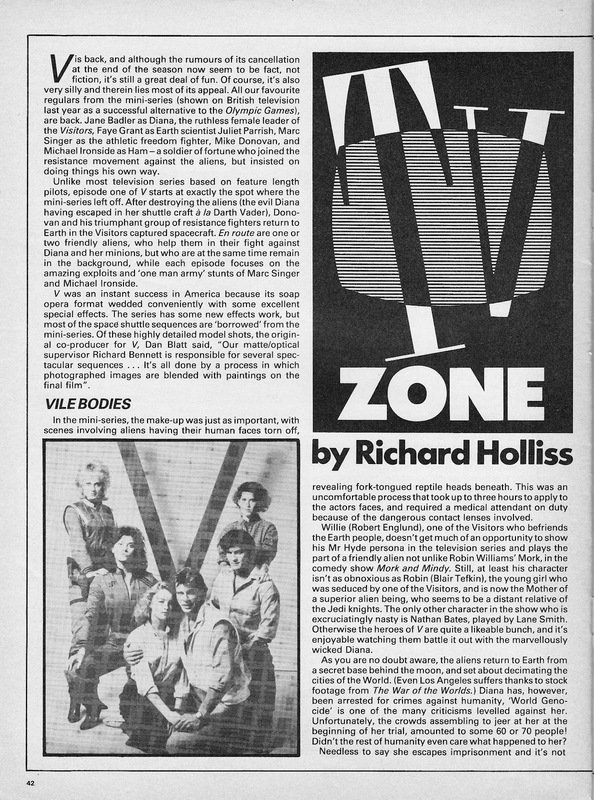 Ironically, Marvel had another stab at a very similar magazine, FANTASY ZONE, in 1989. 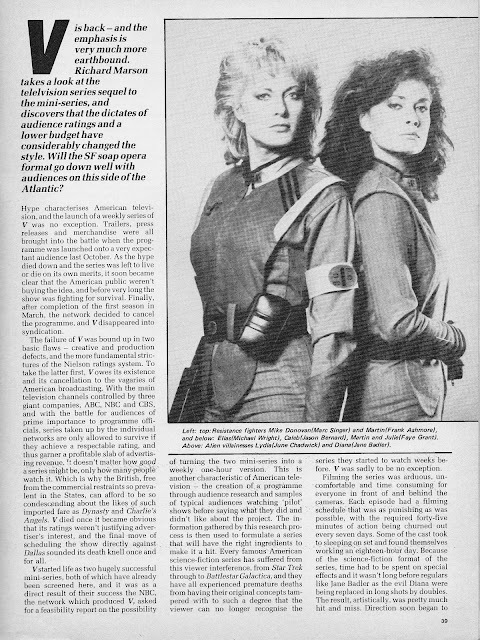 M-UK tried to use it as a springboard for a range of media tie-ins (such as the UK edition of the STAR TREK V: THE FINAL FRONTIER OFFICIAL MAGAZINE one-shot) but it closed after only 6 issues.